This audio file is an mp3 file of message given at a GES regional conference in 2006, in Omaha Nebraska. It is given by pastor Paul Carpenter of Jansen Bible Church in Nebraska. 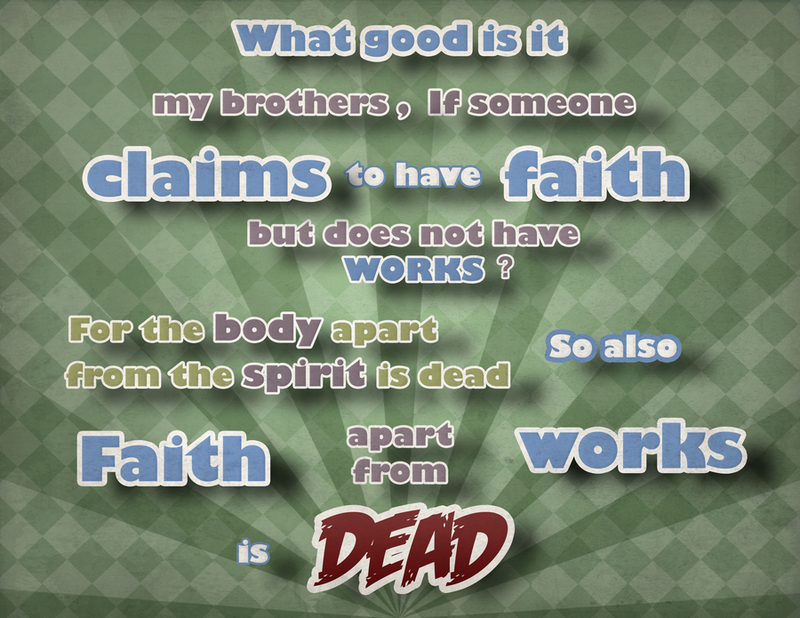 I hope you find it as helpful as I did in understanding the proper relationship between faith and works in James 2. Click here to download and/or listen (left click to listen, right click to download) to this message by Paul Carpenter. The message is 49 minutes in length. The message is entitled, “Believe in Jesus and be Lost?” I rate it as one of the best messages I have heard on James 2. Don, I just spent hours listening to Paul’s message on James 2:14-16 this afternoon and took lots of notes. It was EXCELLENT. I hope to post on it on my blog soon. Thanks for all this good teaching. 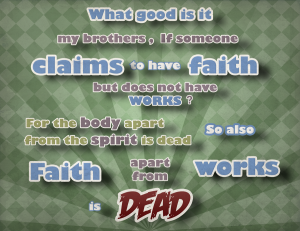 In James, this meaning would read, “the body of truth you have without works is dead (useless)”, or “Religion without works is dead (useless).” In other words, it would not mean a person’s “faith” or doctrine, or religion did not exist, it means they do not do any earthly good. This is different from trying to analyze the moment of saving faith in light of our works, and I think is more consistent with what James is saying. I have not gotten any comments yet on the #1 misunderstood text. If there is no response, then I will let it set another week or two. Am I going too fast? I was going to do 2 videos where I spend about 2 hours talking about Chapters 1-3 of “Gospel Under Siege” by Zane Hodges. I am going to spend most of the time on chapter 3 where he covers “What is a dead faith?” That will probably take a couple of days of work. I don’t know how much time everyone else has. I spend about 30 hours a week studying the Bible in various ways (i.e. books, audio, video) and I have been spending about 1/3 of that on the blog and on the webcasts Friday and Saturday night. Most of the audio I listen to is in my car going to and from work (a half hour each way). I usually keep a small piece of paper to jot down notes, when safe to do so, of course. Let me know what you think about this Bible Study. Is it too easy, too hard? Do you think I need to spend more than 2 weeks on each problem passage?